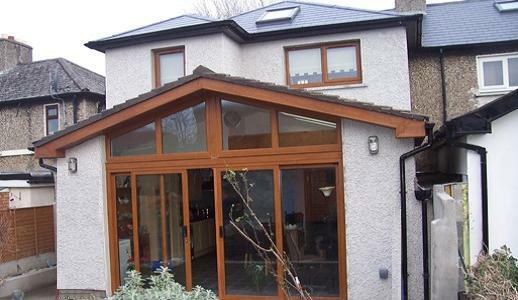 Project: 2-storey Dwelling extension and refurbishement in Inchicore, Dublin 8 Date: March 2011 to January 2012 Job Description: Design, planning & project management. Our clients were looking for an architect to design the extension and refurbishment of their 3 bedrooms, end of terrace dwelling located in Inchicore, Dublin 8. The clients were willing to extend their dining / kitchen area at ground floor and to enlarge their existing bathroom and a bedroom at	first floor. The refurbishment included the insulation of external walls, new windows, the relocation of an existing gas boiler and hot press. Answering to our clients' brief, we revised the original layout to provide a single storey extension at rear. The extension provides an enlarged dining / kitchen area with good sun light entering the room all hours of the day through skylights and a glazed facade. 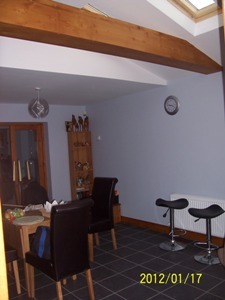 At first floor the rear bedroom was extended to provide a more	generous layout. The bathroom was relocated in the new building and the existing bathroom area was added to the landing and partially used for creating a new hot press /	boiler room. 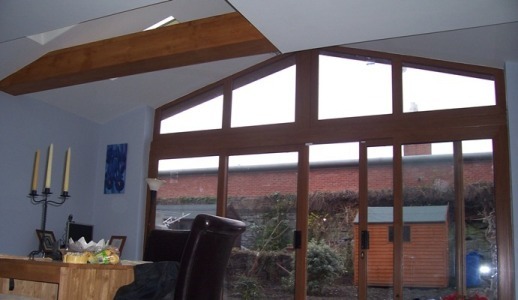 A steel beam exposed above the dining kitchen area was encased in wood to appear as a timber beam. We prepared all building specifications and the contract for the project. We assisted the clients during the tender and advise them in relation to quotes,	insurances and other matters. The construction work started in September 2011 and was completed in January 2012. Asbestos was discovered within the roofs and ceilings. The late delivery of the windows, weather conditions and an issue with a loss of pressure within the heating system as well as the discovery of asbestos, caused the project to be completed in January 2012 rather than November 2011 as first anticipated.